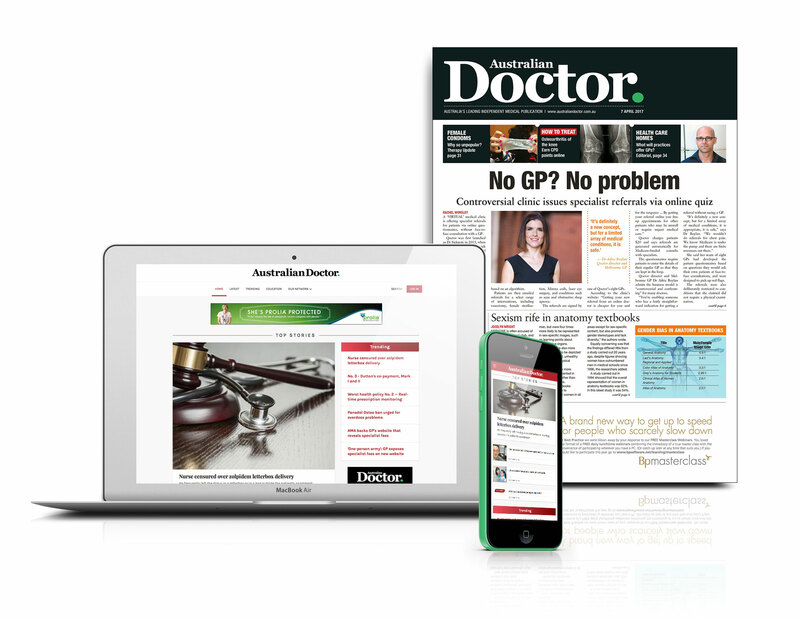 Australian Doctor is the leading independent medical publication for Australian GPs. Our website offers all the latest in up-to-date medico-political and clinical news and news analysis, while our weekly magazine covers news, opinion, clinical features and CPD accredited education. We believe general practice is the cornerstone of the Australian health system, and recognise that quality primary care is a major determinant of the health of a society. We acknowledge the challenges faced by general practitioners within the complex Australian healthcare system, and use our voice to enhance the work and lives of GPs and their patients. We inform, educate and engage Australian GPs about all aspects of their professional lives, foster the GP community, lead discussion and work for a strong general practice. Newsletter: Subscribe to our daily newsletter delivered straight to your inbox by clicking here to go to your profile page where you can manage your email newsletter subscriptions. When you register with AustralianDoctor.com.au you will have access to the Australian Doctor Group network, which includes medicalobserver.com.au, HowtoTreat.com.au and 6minutes.com.au.